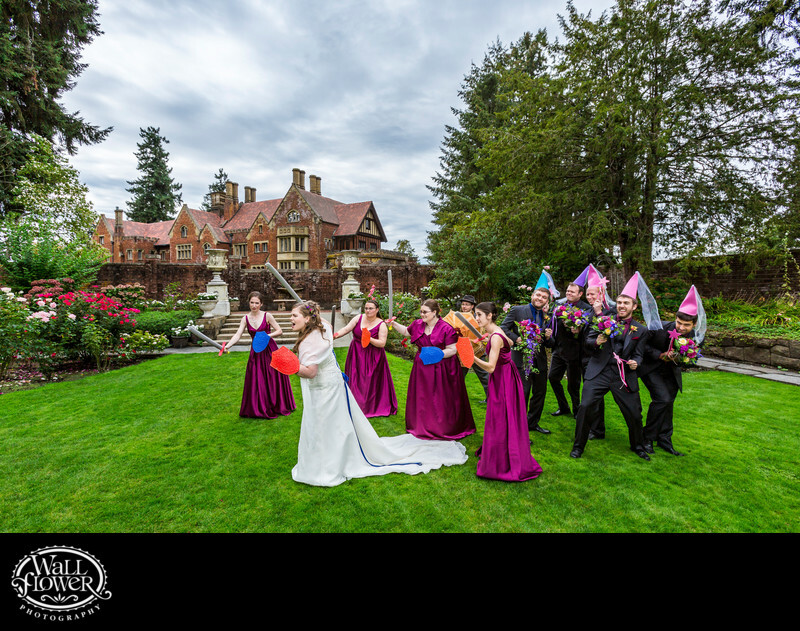 Clearly this bride and groom have a wacky sense of humor, and their bridesmaids and groomsmen were happy to follow suit in their vision of staging a mock medieval battle in the sunken garden courtyard of Thornewood Castle, the closest thing to a real castle that the State of Washington has! To complete the craziness, they pulled a gender reversal, giving the swords to the fierce women and the princess caps to the men cowering behind them. Although I'm not the type to bring my own props to a wedding or photo shoot, I'm certainly happy to have some fun with the creative ideas that my clients bring!